Need a pre-purchase inspection? Our highly-qualified inspector will make a comprehensive inspection and provide a detailed report containing everything you need to know. The best prices and most qualified inspectors in Perth, book now to buy your new house with confidence! Property purchase is probably one of the biggest investments you will make and our easy-to-read property condition reports are designed to help you in making the right buying decision. Our property reports are drafted according to Australian Standards and are recognised both by estate agents and lawyers. Our report will definitely give you complete peace of mind and assurance about buying a particular property and it can even help you avoid making a bad deal that could cost you thousands for costly repairs. The property you are considering may look really great and you may be told that it is in excellent condition. However, in reality, the freshly painted areas may be concealing flaws and rotten frames, which will require costly repairs and maintenance. So, it is very important to get an industry expert to give you a second opinion on the property. Our objective is to safeguard your investment and to this end, our property inspector will lookout for cover ups by the homeowner and defects to assess the actual level of damage. Our inspectors will bring along specialist equipment, ladders and powerful torches to inspect all the areas of the property which are visible and they will also check the insides of the walls for moisture, leaks and termites by making use of thermal and radar equipment. Several of the other inspection service providers charge you extra for all these services; however, these are all included in our base fixed cost. Typically, pest inspection involves tapping, drilling and even tearing out portions of the walls. This is not only extremely messy out very disruptive too and often deeply housed nesting areas are completely missed. However, the state-of-the-art equipment and technology used by our inspectors can detect the presence of pests without causing any damage to your property. They can look through the floors, walls and ceilings without leaving a trace by making use of a combination of moisture, radar and thermal technology. All our RBI inspectors are trained to handle Termatrac equipment — that is the only device which can detect and pinpoint termite presence accurately — without the need to penetrate the floors, ceilings and walls physically. Our inspector will inspect all the accessible and visible portions of the property for current and likely nesting hotspots. Our condition reports are drafted is simple English and are prepared as per the current industry standards. All the concern areas will be highlighted in the report and we will also pinpoint all the defects and hazards, which may require expensive repairs. Along with the report, we will also provide photographs and also our suggestions on the work needed to rectify the problems. The property condition reports drafted by us are according to Australian Standards and are recognised both by estate agents, as well as, solicitors. 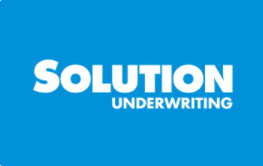 And, if we discover any problem areas which can compromise your investment, you can make use of our report to better your position to negotiate with the seller or use it as grounds to end your contract. This essentially means that you can make your decision to purchase any property knowing that it has been verified by experts. 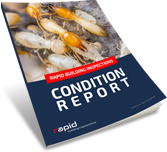 Why Choose Rapid Building Inspections in Perth? Our inspectors follow the Australian best practice in pest inspection and are trained and qualified according to the Australia inspection standards AS4349.1-2010 and AS4349.3. We are authorised to conduct pest inspections in the Perth area. Our prices are low because we keep the interactions between the property seller and RBI inspector to the minimum. And for this, we require access to the property at the appointed date and time. Coordinating for access to the property can be very time consuming and we cannot have our inspectors calling the sellers and agents to arrange all the details. We guarantee to provide the property condition report of the highest quality; however, for that, we would require that you confirm access to the property at the particular time. However, if you are unable to get our inspector time for the property inspection, we would request that you give us a 24-hour advance notice so that we are able to reschedule your booking.